1 - Line a shallow baking tray or glass dish with greaseproof paper. 2 - Break 150g of Milkybar chocolate into pieces before microwaving in 20 second bursts until melted. Make sure to stir the chocolate after each 20 second burst. 3 - Pour the Milkybar chocolate into the tray and spread evenly. 4 - Refrigerate for 10-15 minutes or until the chocolate is starting to set. If the chocolate sets fully there’s a chance it won’t attach to the top layer. 5 - Microwave 200g of Galaxy chocolate in 20 second bursts until melted. 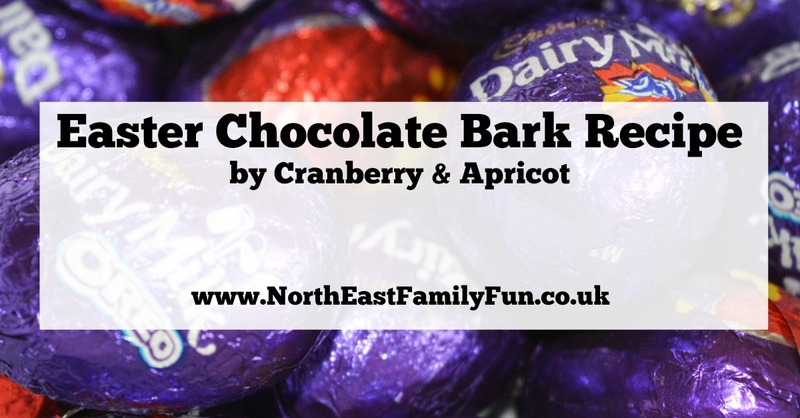 Spread this over the Milkybar chocolate to form the second layer. 6 - To give the Cadbury Mini Eggs a hatched look, place them in a food bag before cracking them with a rolling pin. 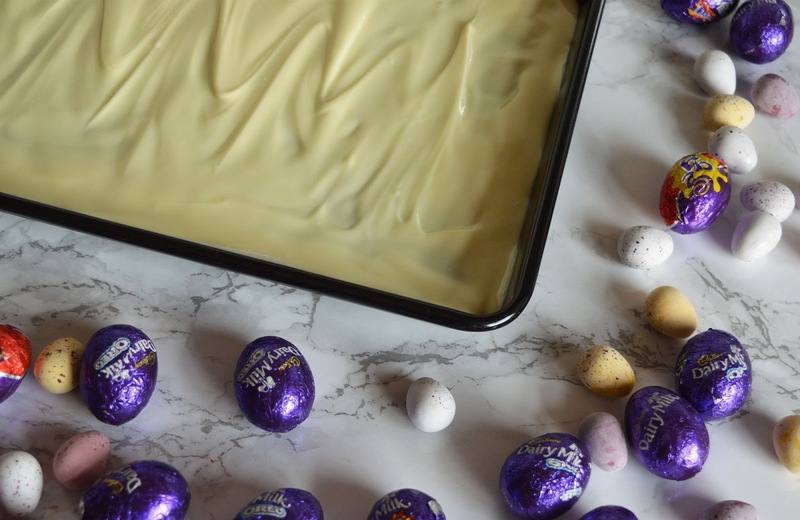 7 - Press the broken Mini eggs into the chocolate slab. 8 - Melt the remaining 50g of Milkybar chocolate and drizzle over the slab. 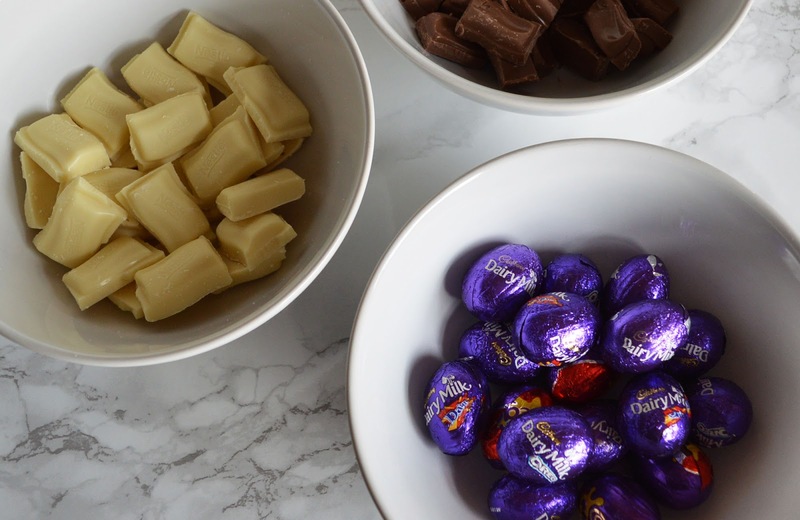 9 - Cut the Daim, Oreo & Creme Eggs in half before pressing into the chocolate. 10 - Refrigerate until set before breaking into shards. Wow thanks Ami, I can't wait to try this! I think the beauty of making something like this is that you can use up whatever you have. I bet it's nice with a few mini Lindt bunnies too. Cranberry & Apricot shares recipes, days out, lifestyle & travel posts alongside the most beautiful photography. You can follow Cranberry & Apricot on Facebook, Instagram and Twitter. Oh my days - this looks delicious! Sam these look absolutely incredible! 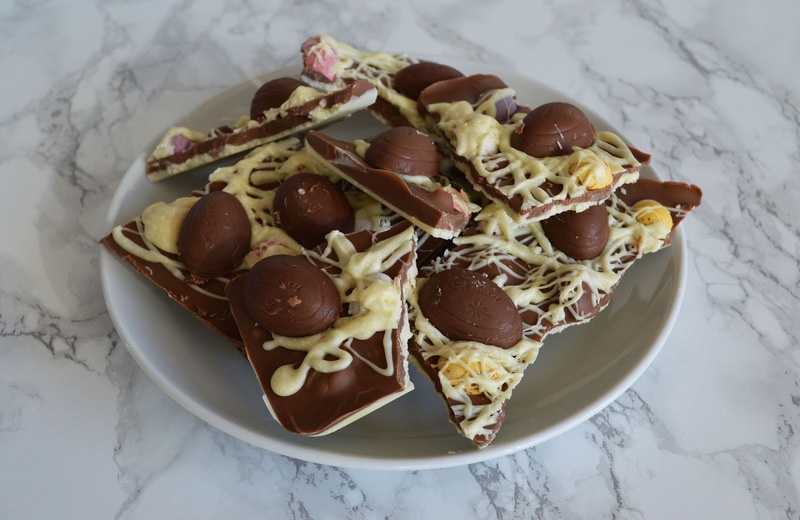 I wish I had some Easter eggs left over so I could make this! Definitely going to save this recipe for later!